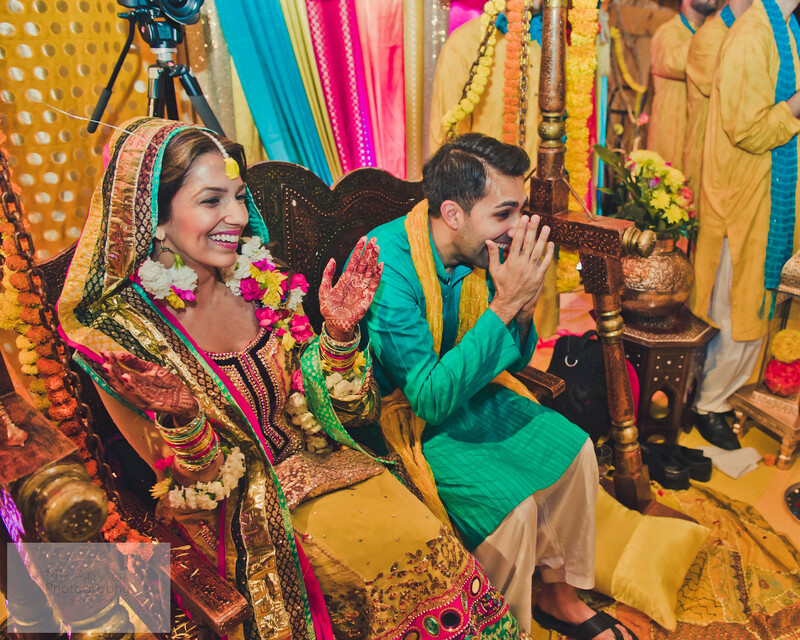 This is the story of mine and SMs’ mehndi, told through the photographs of Mir Anwar – enjoy! 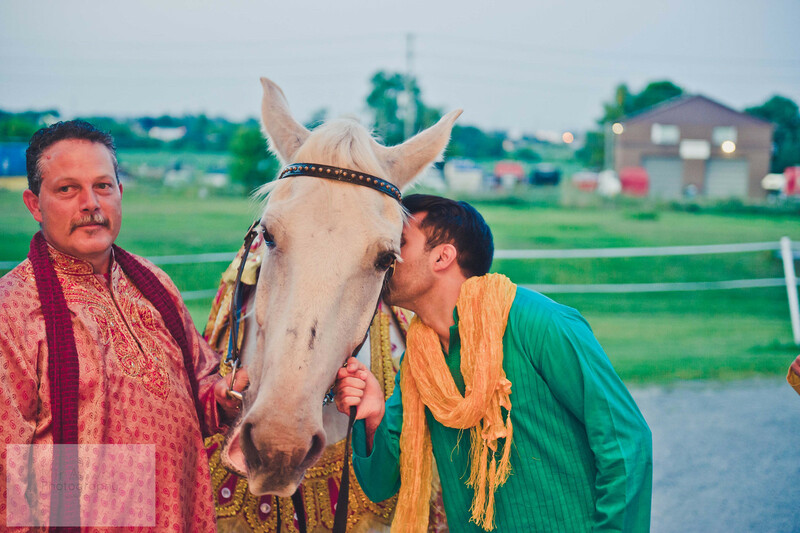 “Kiss the horse!! !” = mandatory after dismount! 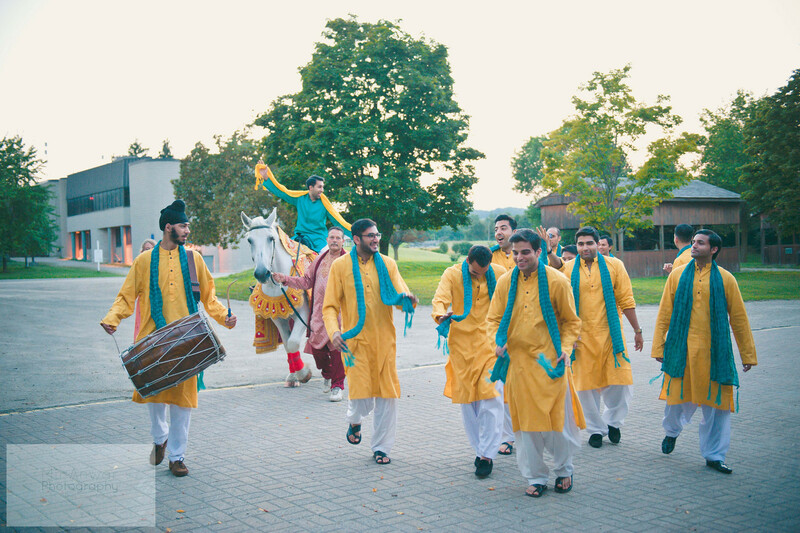 And so, SM and the baraat (boys side) enter the barn! See the balcony? I was peeking from up top watching the whole thing, waiting to make my entrance! “Hi!! 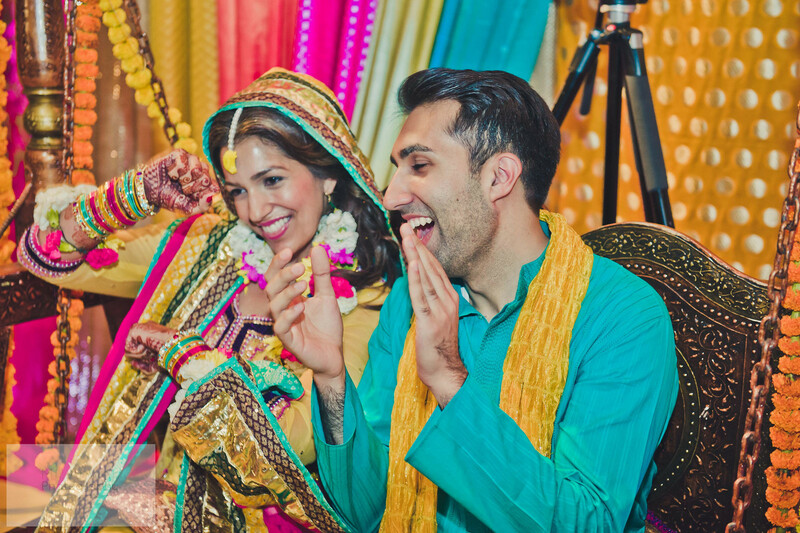 I know you!” 🙂 I’m so glad I decided to do my makeup myself, btw (link to the post about my mehndi makeup!) I felt like if I had my makeup professionally done, it would look like it, even if I told them to keep it very light, so I knew I wanted to just have the control and do it myself. 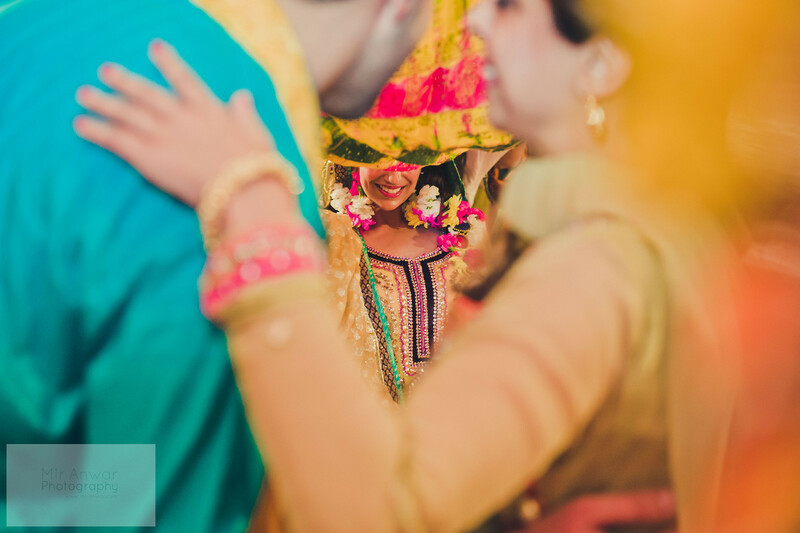 (Traditionally girls wore no makeup on the mehndi so that you really stood out on your wedding day) Because I kept my makeup so minimal, I felt fresh and light and comfortable in my skin, and on the shaadi, I reallllly felt like a dulhan! 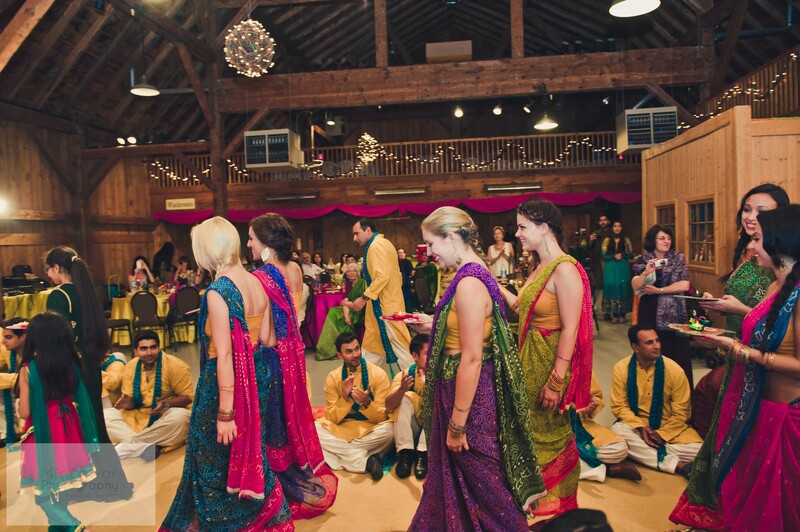 Here are 6 out of 8 of my non-desi bridesmaids who I dressed up with saris from Gerrard Street and $1.50 Forever 21 tank tops which an auntie made crop tops (money saving tip: be creative, girls!! !, and how awesome do they look, btw?!) 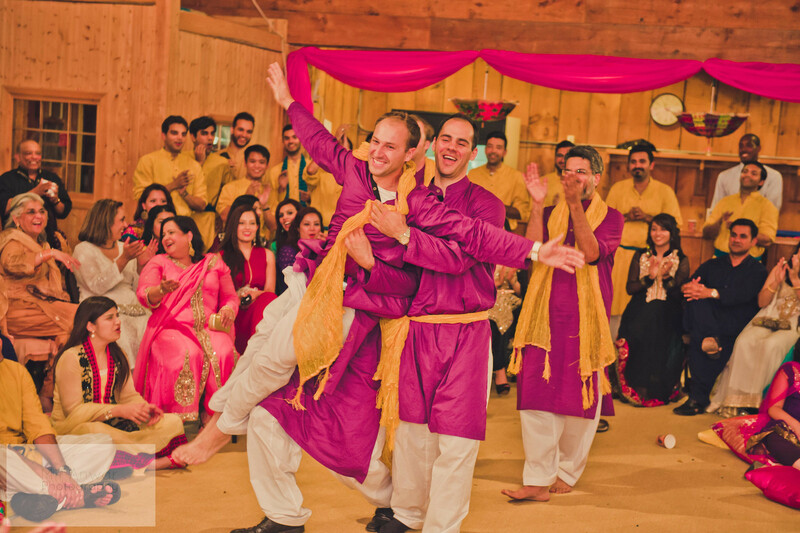 and all my boys from uni, whom I brought back purple kurtas and yellow dupattas for from Lahore! I got my own outfit in Liberty, I just saw it on a mannequin and instantly fell in love with the ‘gota’ work and the little mirror accents, the jamawar skirt and the colours. 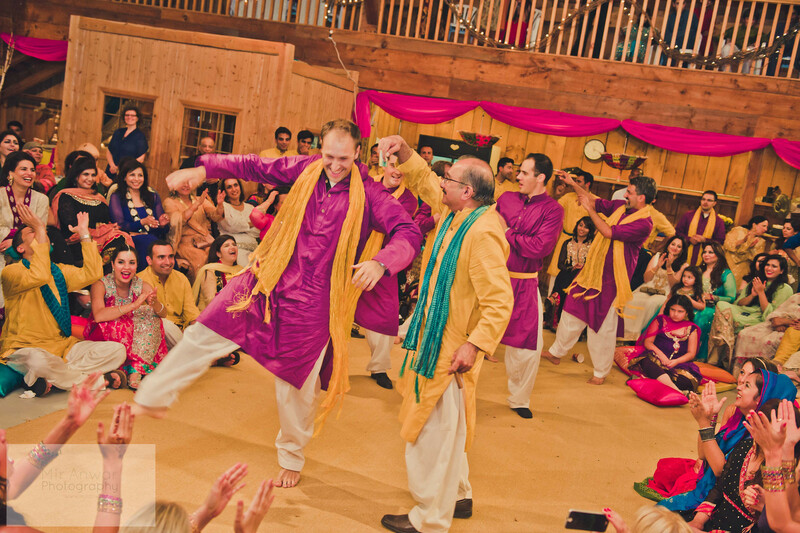 In fact that’s how I knew this was the one – I knew that SMs kurta was that turquoise colour and when I saw that the skirt was the same it was perfect! 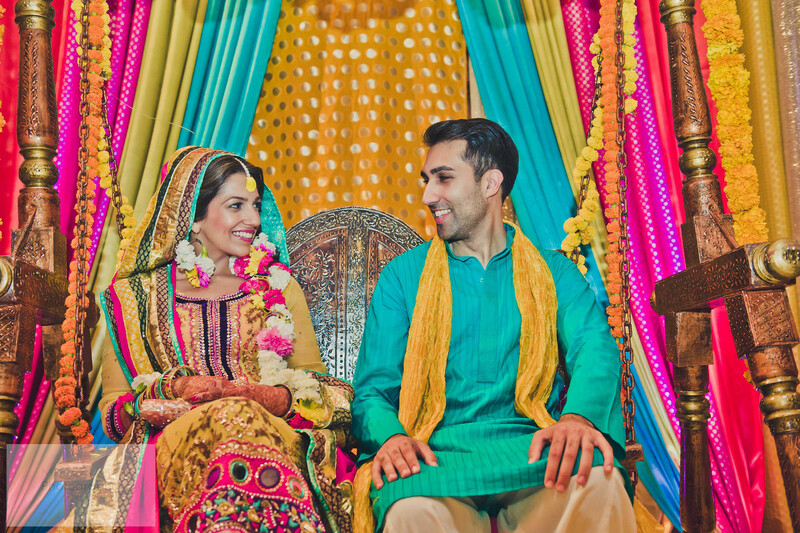 I then chose to make the dupatta hot pink and the shirt yellow because those were our 3 colours. It was definitely a success story in terms of shopping in Pakistan, oh and did I mention this whole outfit was $270?!? 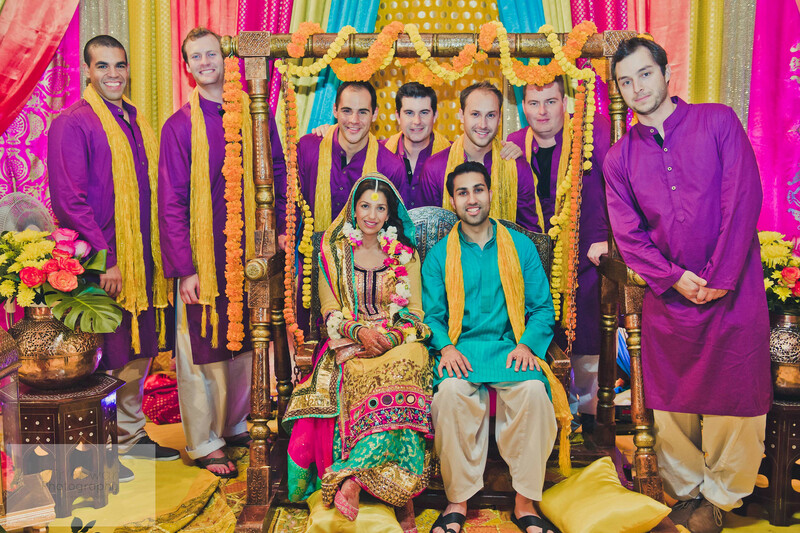 These are his boys – I had also arranged for their yellow kurtas from Lahore! So there you are! 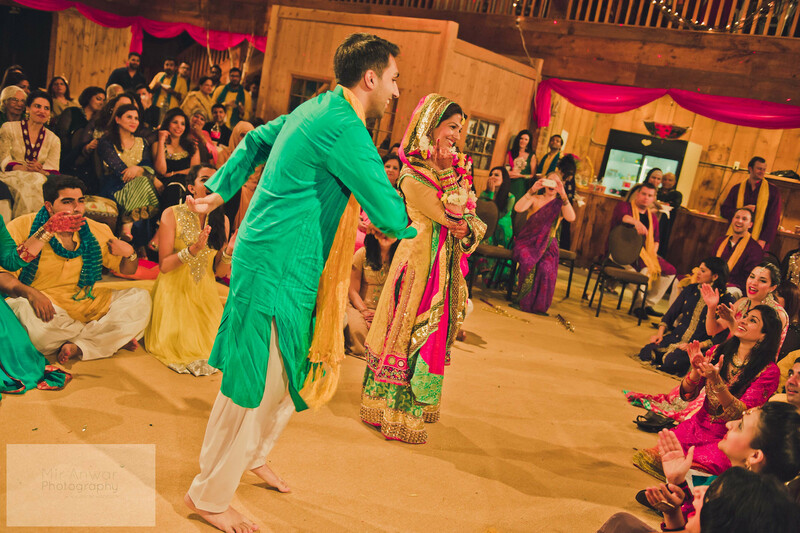 Some choice pics of what was by far my favorite part of our wedding! Awesome! loved it! 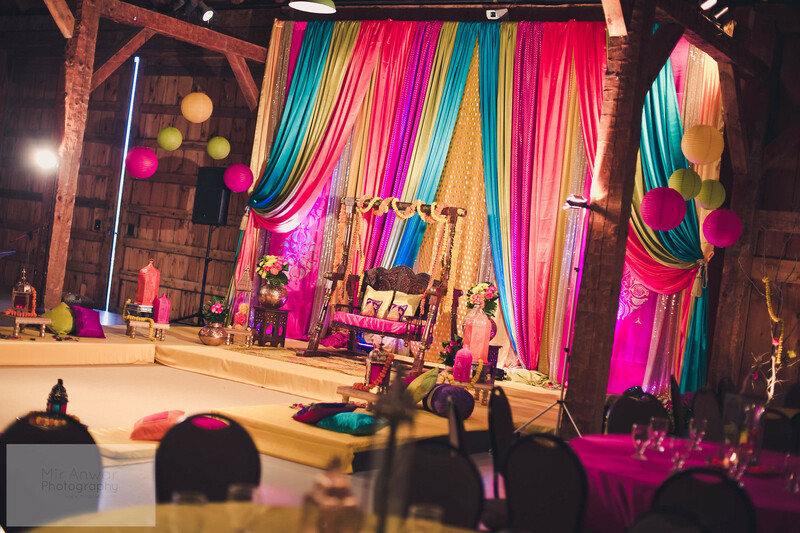 Barn mehndi was a brilliant idea and the decor was perfect. Hey! Thanks so much! Hmm no idea but my mehndi artist was Shikha Bedi! This is beautiful. 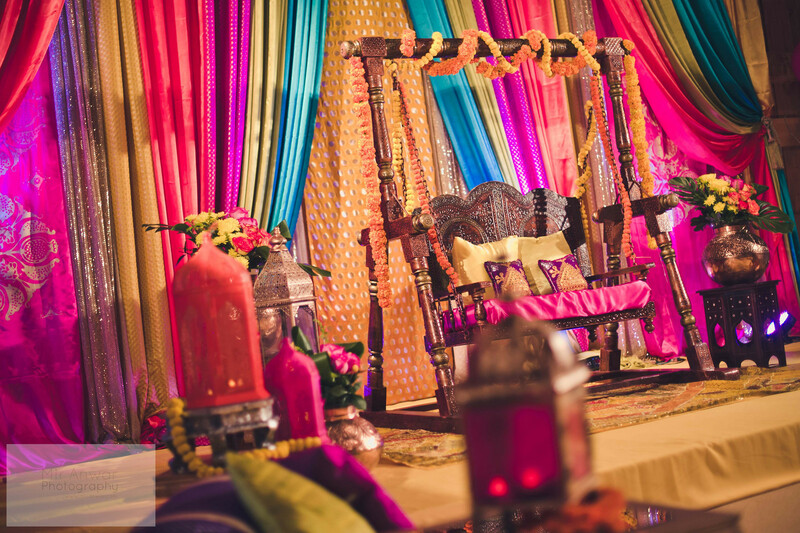 I am working on creating an inspiration board, Can I use your pictures for inspiration around Mehendi. Beautifully done must say. I am in love with the colors. Let me know, looking forward to a positive reply. This looks so amazing! 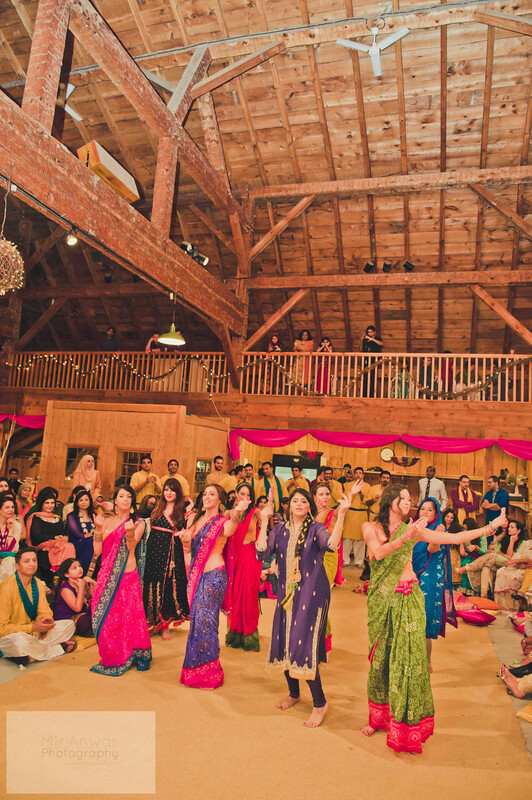 I have always wanted to do my mehndi in a barn as well so this is great! I’m from Milton too any idea how much the rental for Gambrel was and was it easy to get them to allow our own caterers? Hi Amara! Thanks so much! 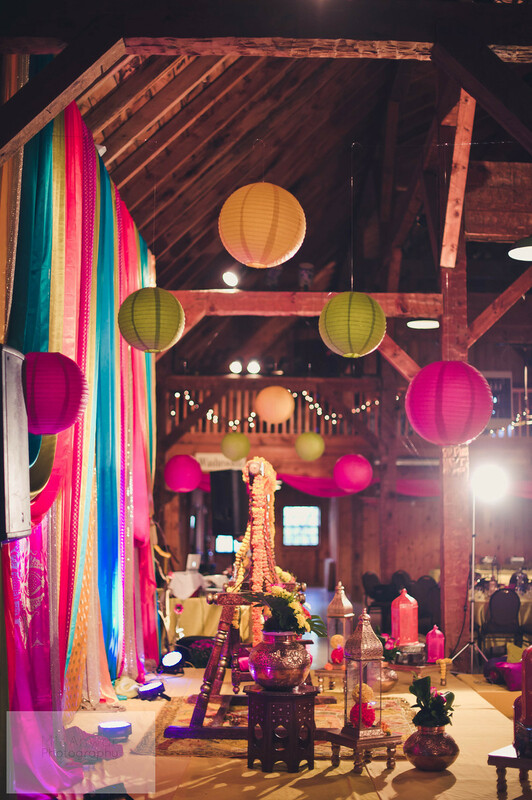 Ya the barn was the best part of it all 🙂 im pretty sure the rental fee was $1850 for the Gambrel which we split both ways, and outside catering was tough to get but SM is a charmer so it worked out! Hi Safa! 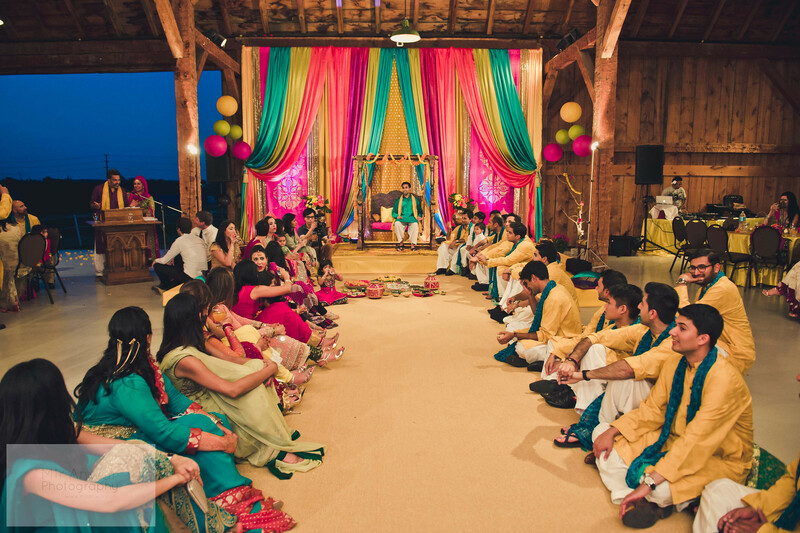 I’m planning on doing an event at Gambrel, most probably a mehndi. 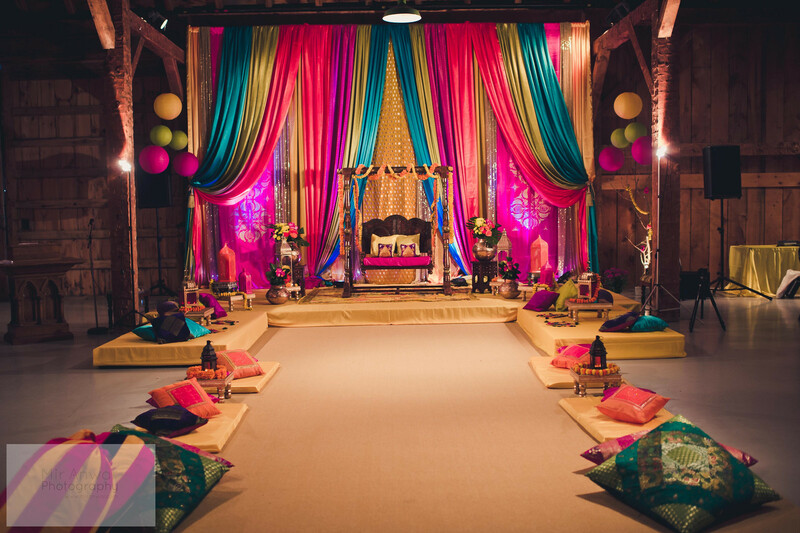 They’ve said no to outside catering, any suggestions as to how to persuade them to allow outside/halal catering? 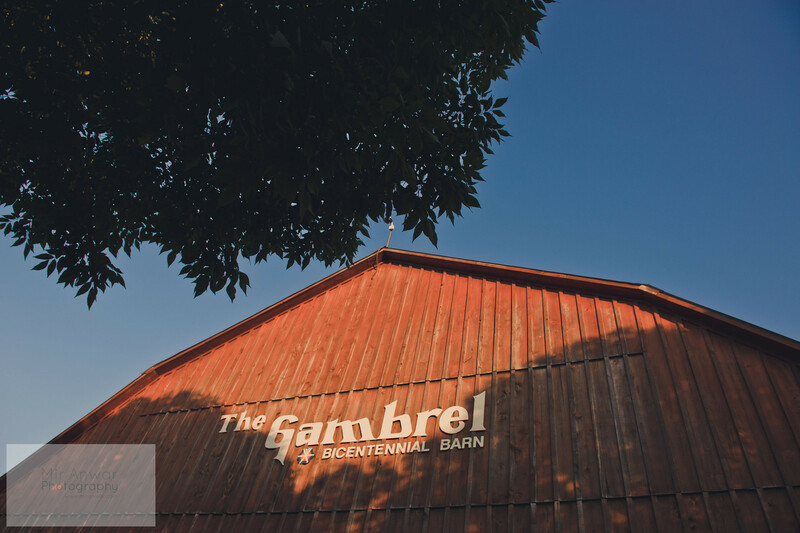 I’m wondering how you got the Gambrel barn without their catering. 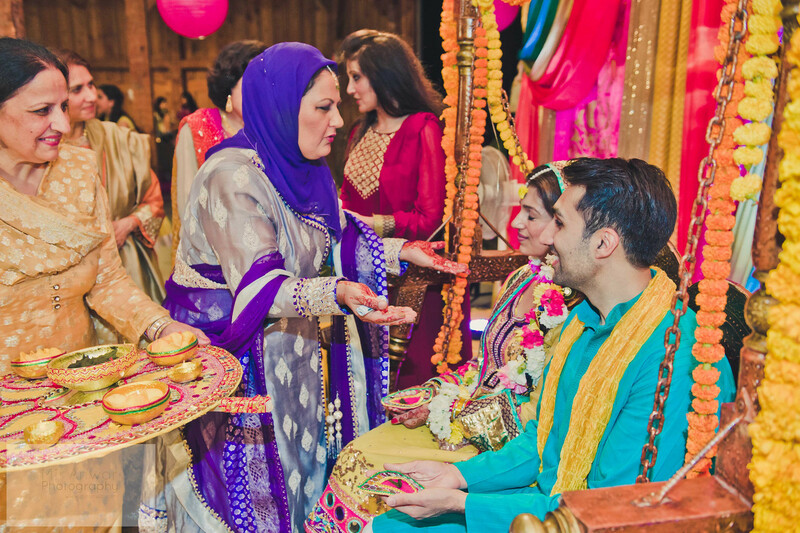 I am planning a mehndi event without their inhouse caterer but with an outside halal catering- and I’ve had one phone conversation with them and they’ve said no outside catering. Any suggestions? Hi Mary, sorry I don’t have a more helpful answer –it was SM who negotiated with the Gambrel folks to let us bring our own halal caterers! They could have tightened their policies since? Good luck! Hi Safa! Love all the guys clothes! 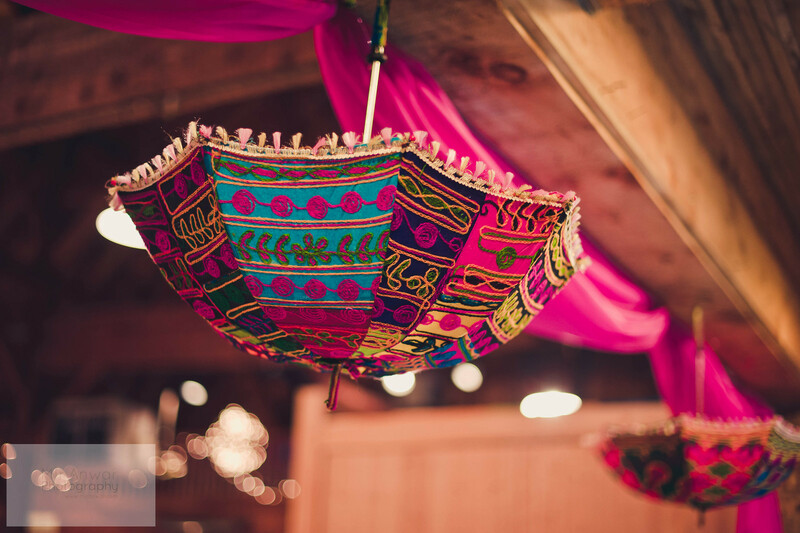 Where in Lahore did you get the colorful kurtas? Were they ready made? Hey!!! I got all of the guys kurtas in Lahore yes and all readymade! Cant remember the store name but I got an amazing deal cause they were 60%off so ended up being lan equivalent of $10 each, I think I paid 1000 rps each or 1200 rps cant recall! Hey! Thank you!! 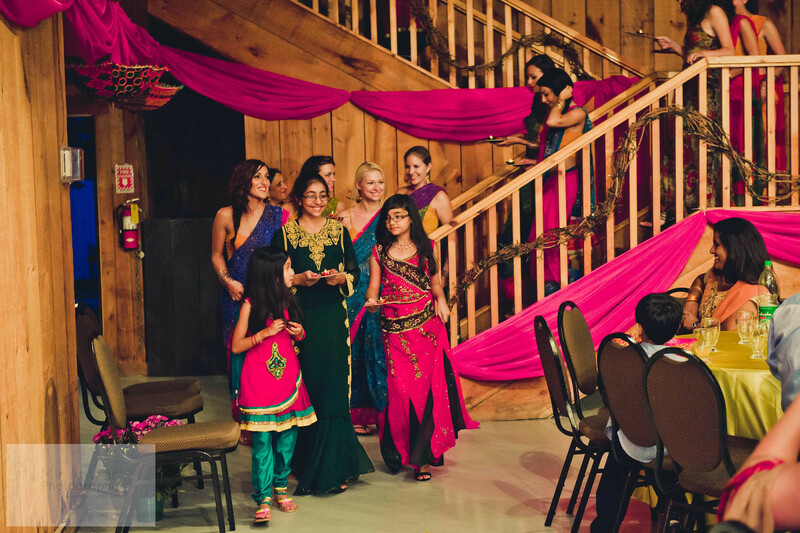 I got the bridesmaid’s mehndi saris from Nucreation on Gerrard and the shaadi aris from another store on Gerrard, but I can’t recall the name! Thanks a lot.. Will this be mean if I ask for the price of Mehendi saree? Lol no! They were 6 for $50! 🙂 happy to help, love a good deal haha! super awesome MashaAllah. 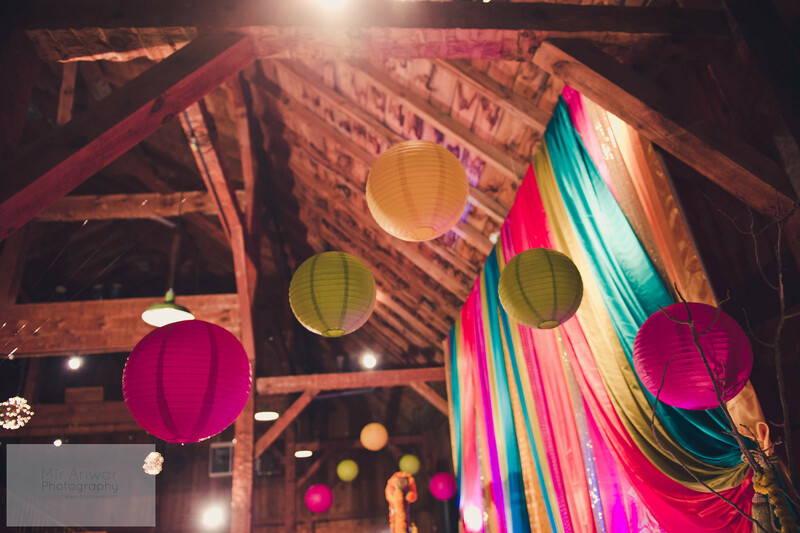 i love the idea of a barn wedding. 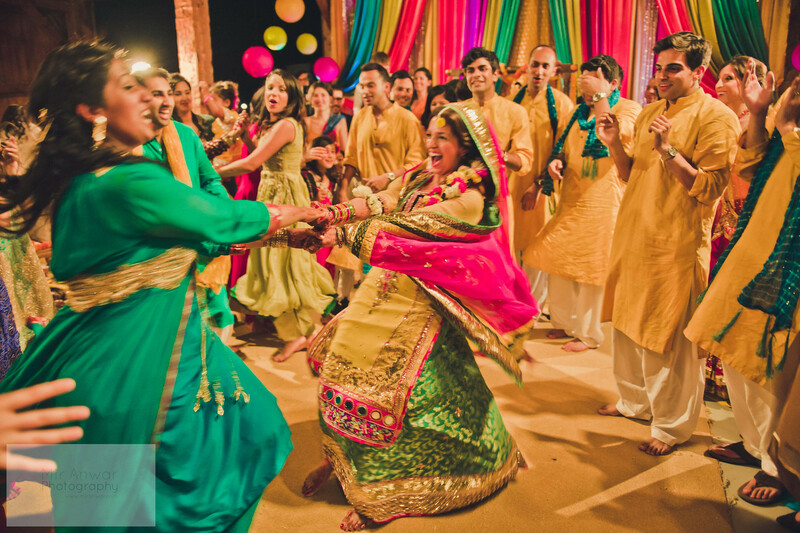 and offcourse the entire colourful event..am sure joota chhupai would have turned out to be real fun on mehndi,,,as this idea is so not the norm…good. Hi Amina!! Thank you!! 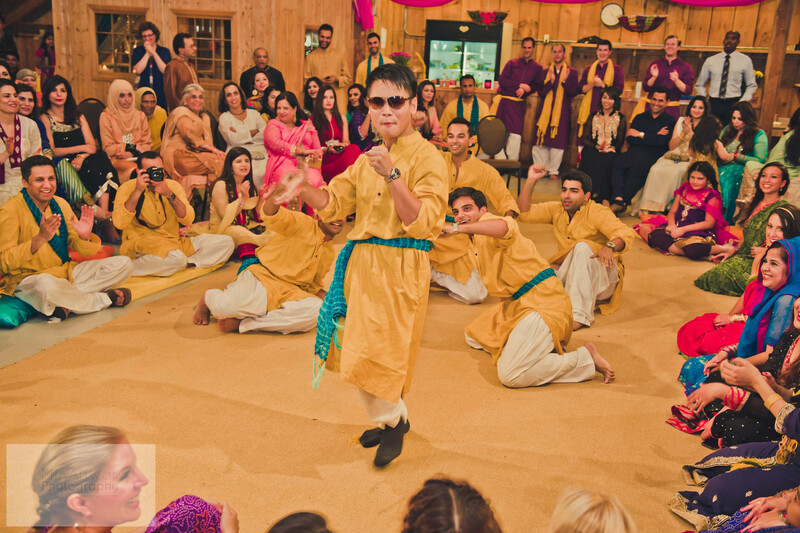 Ya I felt like it was a more appropriate ‘Mahol’ for the joota chupai on the mehndi, so it worked out!!! Ooops my name is Ayesha btw, fat fingers hit the enter key by mistake! Hey Rahma, I did actually share an article I wrote earlier on my blog about how to choose a photographer, hope that helps! 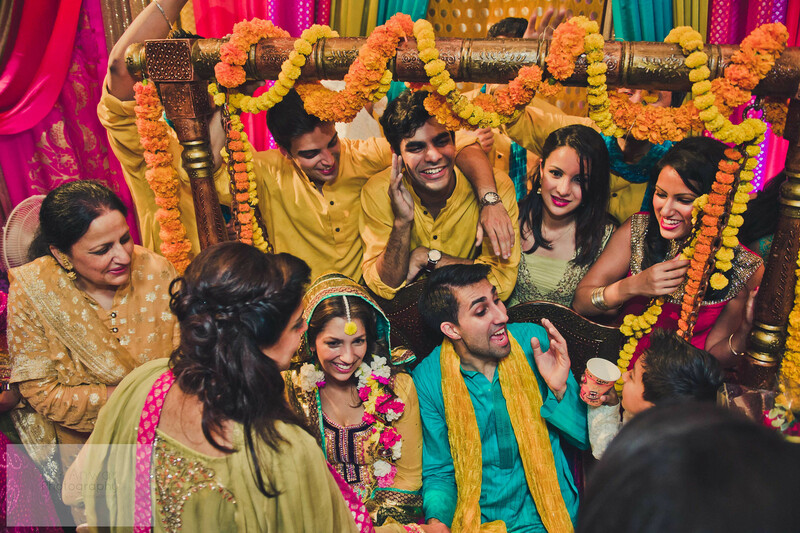 Well it is just awesome to remain a part of Wedding journey that till remains in Mehndi and I’m moving ahead but before I couldn’t stop myself to comment to say how much I loved these whole celebrations and it would must be a crazy ride for you both . Hey,thanks so much and congrats! I just stumbled upon your blog via Pinterest and can I tell you how helpful it’s been?? I feel like I’m just running around looking for things, but not finding anything at all! Your references have been amazingly helpful. May I ask where you got the flower jewelry (tika, earrings) from? Your blog has been so helpful in my own wedding journey.I feel like I’m constantly running around researching or looking for things, but not actually finding anything. May I ask where you got the flower jewelry (tika, earrings) from? Thank you! 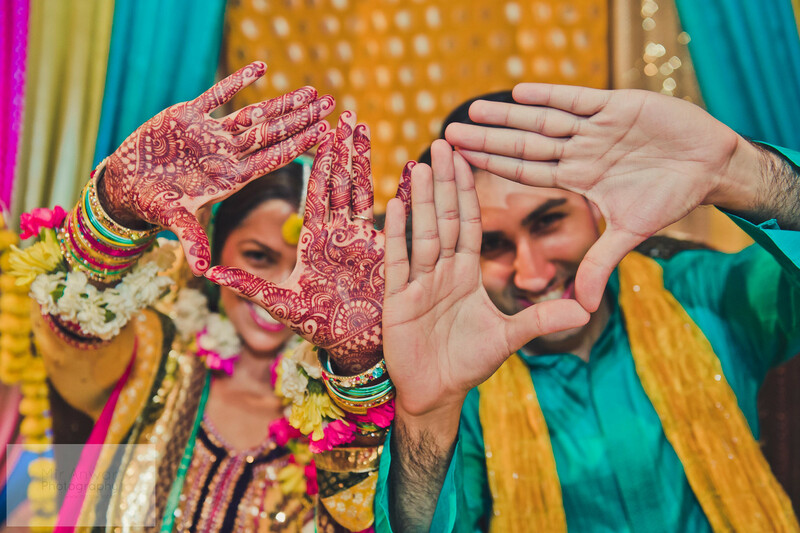 You got your mehendi done at your mayoun? 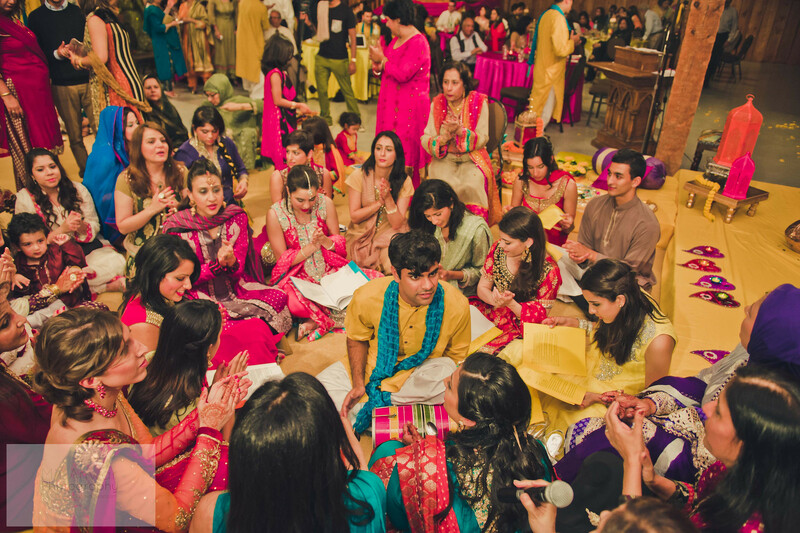 then why is this event called a mehendi? 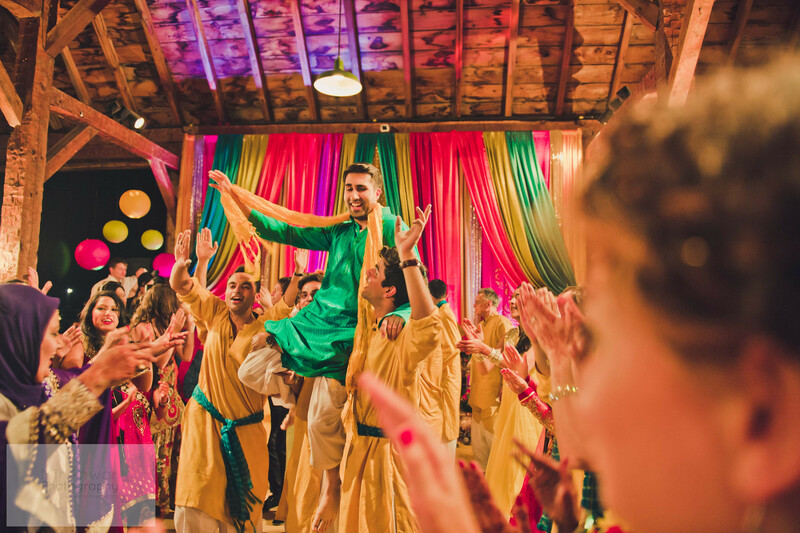 Hi Shreshta…I can see how that’s confusing…so back in the day the mehndi used to be when they applied mehndi on the girl, but these you usually have the mehndi already applied on the day of, but the tradition of the name still stuck. I had my mehndi applied the night before my actual mehndi event…they say it’s darkest two days after so I timed it so that it would be darkest for the shaadi! Loving your blog! 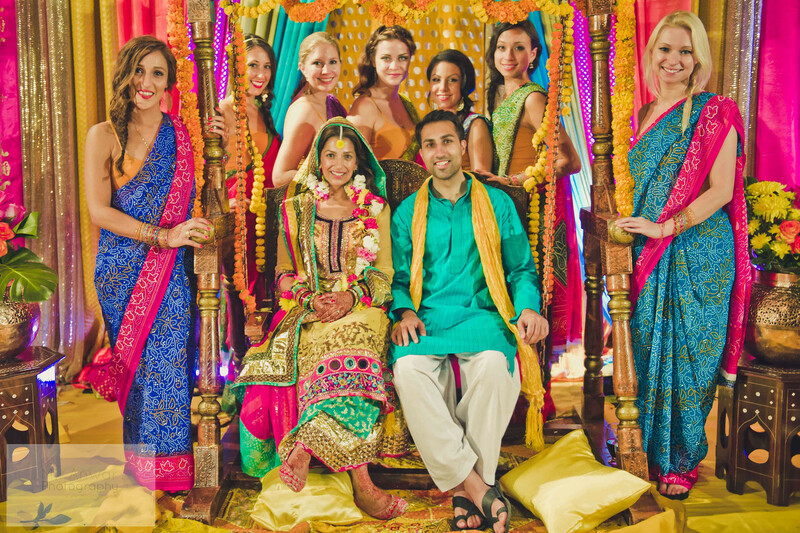 Has been very helpful for me in terms of planning my own wedding! You look beautiful m’A! Loved your colour palette! May I know where you got the flowers and flower jewelry from? I am having trouble finding someone for these tasks right now and my wedding day is coming up soon! Thank you! Thanks Shama for your kind words! 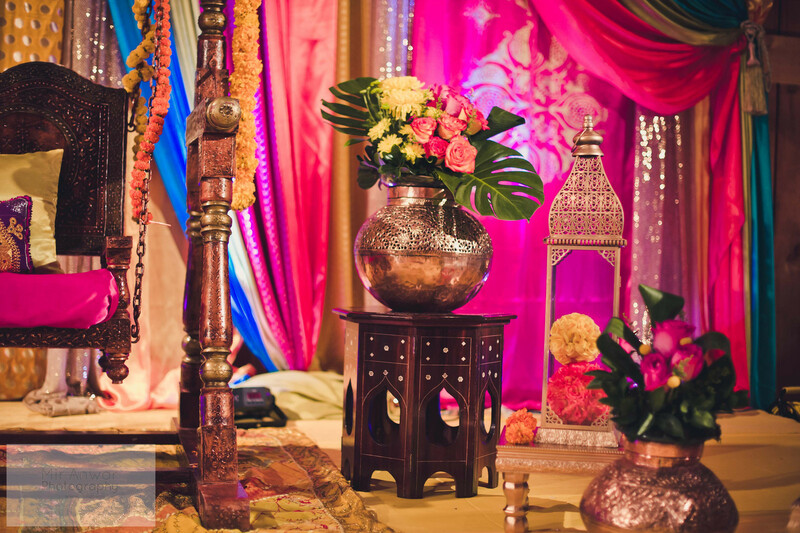 Laila Decor provided the flower jewelery! It’s so beautiful! The whole three days. 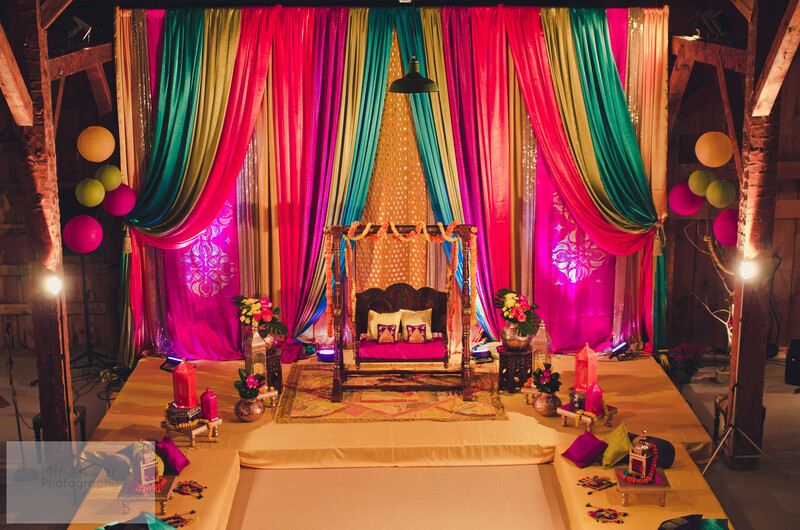 I’ve always dreamt about mine, my S.O is fairly new to Pakistani weddings and this was just the perfect example I was looking for! Hi Guys, first of all congratulations to both of you. Who was the decorator for Mehndi? Thanks! you did an amazing job for this event !! who did you hire for your catering. 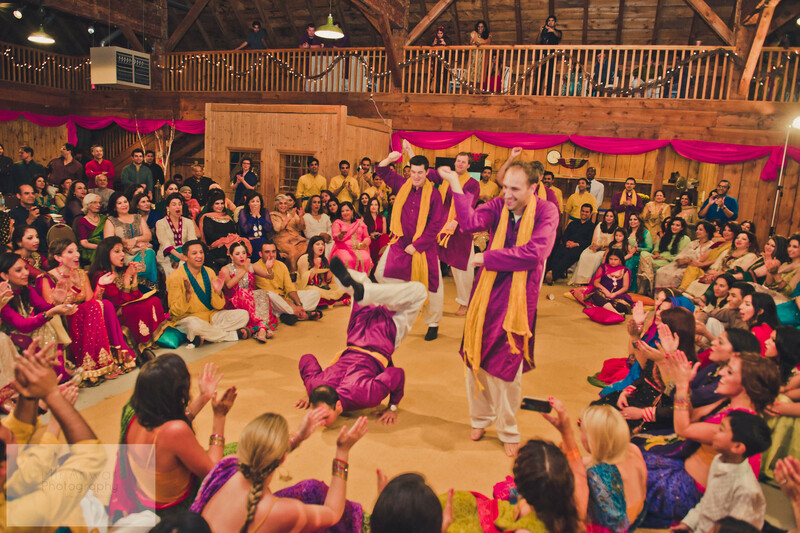 I am stuck between a tent wedding at a farm vs this barn but i need to find some halal caterers who can bring their own staff/dinner plantes and etc for both those options. I would really appreciate any help !! . this looks like a lovely event !! I just went to go check out this barn for my reception. Ive to decide between this barn or a tent wedding at a farm. but for both options i need a halal caterer to bring their own staff and dinner plates and etc. Who did you hire to do this ? any help with be appreciated. I have been following your blog for almost a year, its so light hearted and full of life and love! I am getting married in the near future and needed some help with outfits. 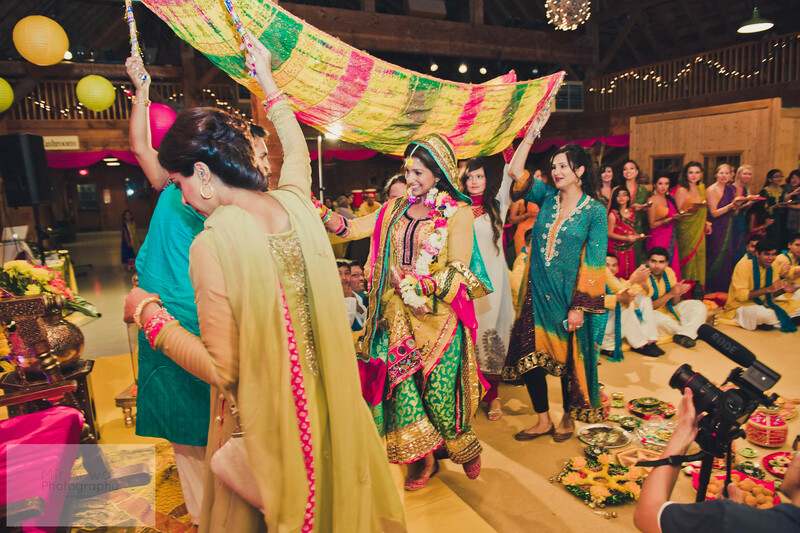 My mom is going to Pakistan to shop , where did you buy your Mehndi outfit and in which city? Hi Aisha! Aw thank you! 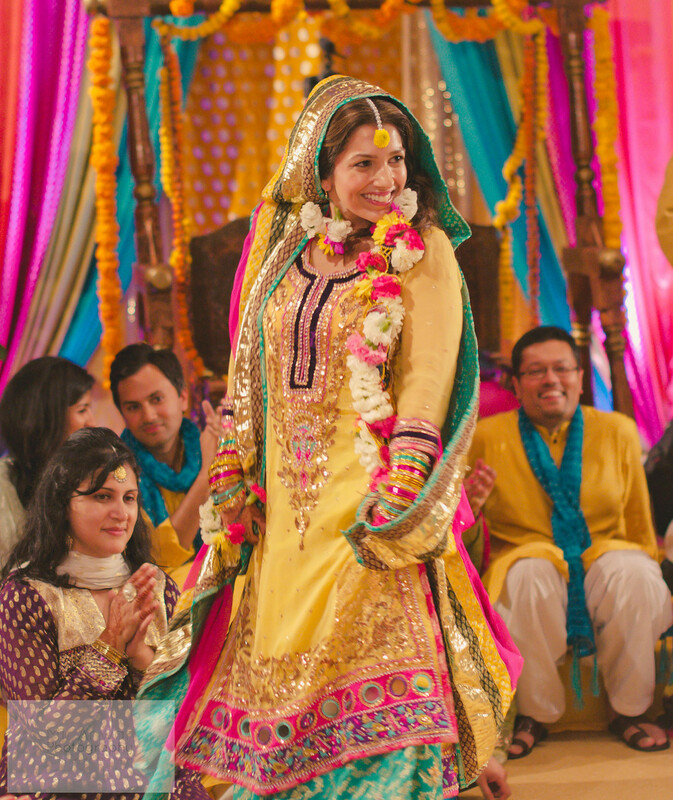 I bought my mehndi outfit in Lahore, in Liberty! 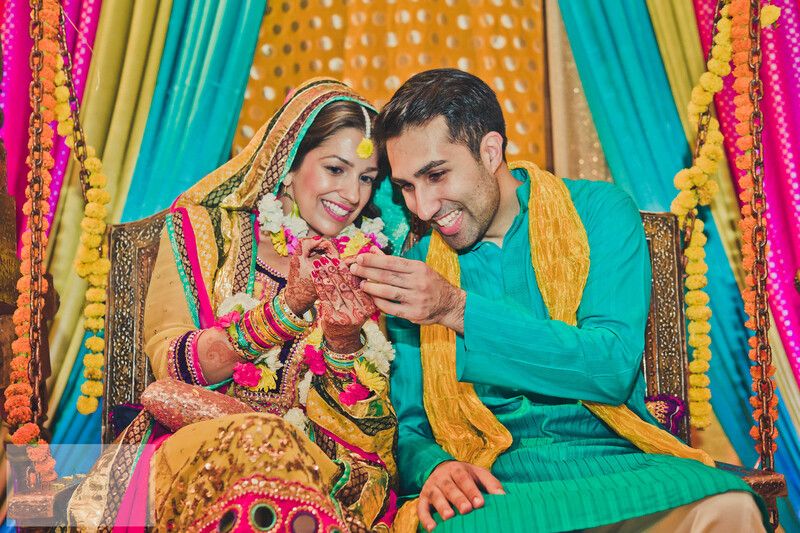 Congrats on your upcoming shaadi!! Hmmmmm I can’t remember off the top of my head but I think I do have it In a post on my blog ! Hi Nawal, Hmmm, tbh I have no idea — my inlaws arranged that! I really like the you did your mehndi! 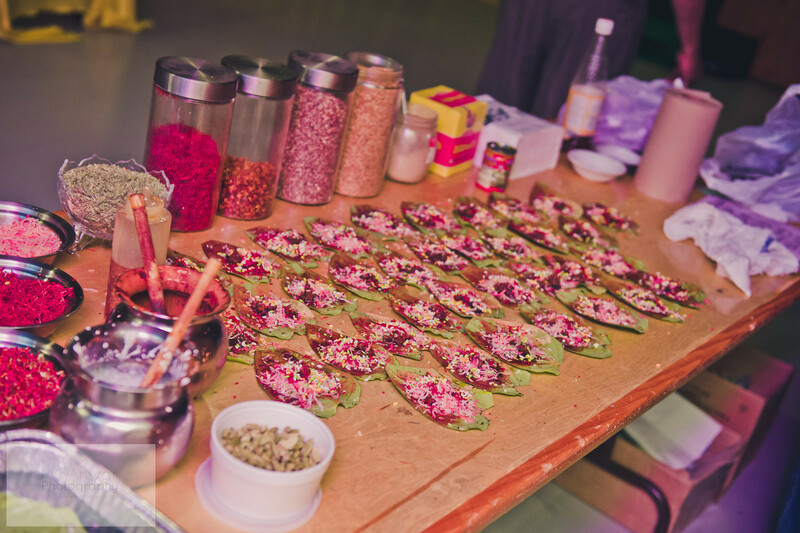 Can you please tell me where you got the paan stand from? Hi Sammy, our decorator set that up as part of the rest of the decor! do you know if these barn are heated? I’m looking to book one for end of Nov event. Hey Alina so sorry for the delay in reply but I had no idea about the barn heating or not! Congrats on your upcoming Agassi! Its very nice and informative for me. 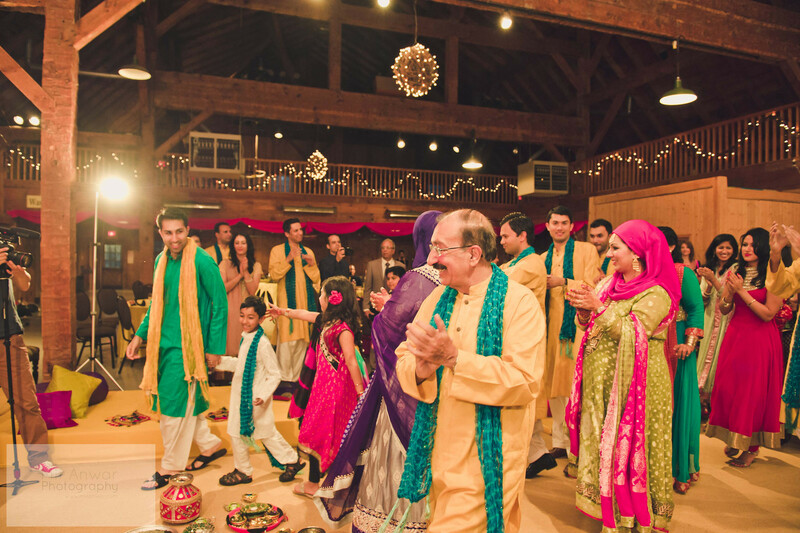 Wedding venue also play an important role in Wedding. 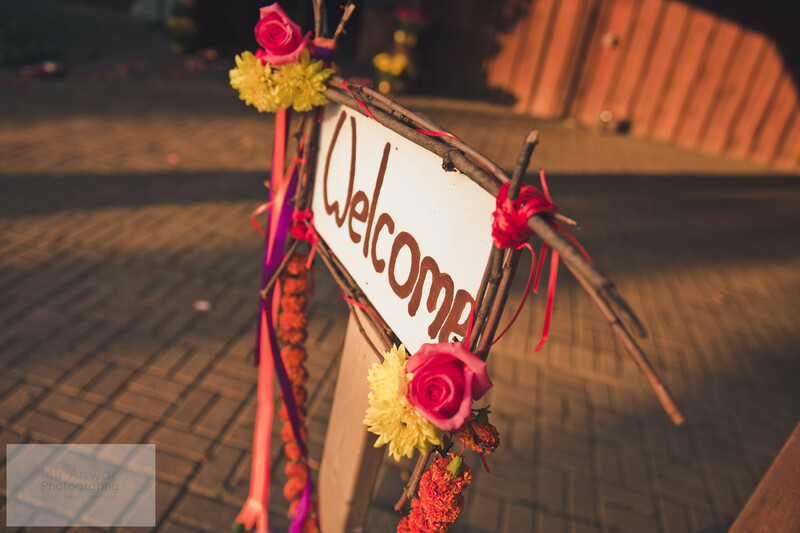 This site has really good information regarding wedding halls in rawalpindi/islamabad and specially in Pakistan have a look. 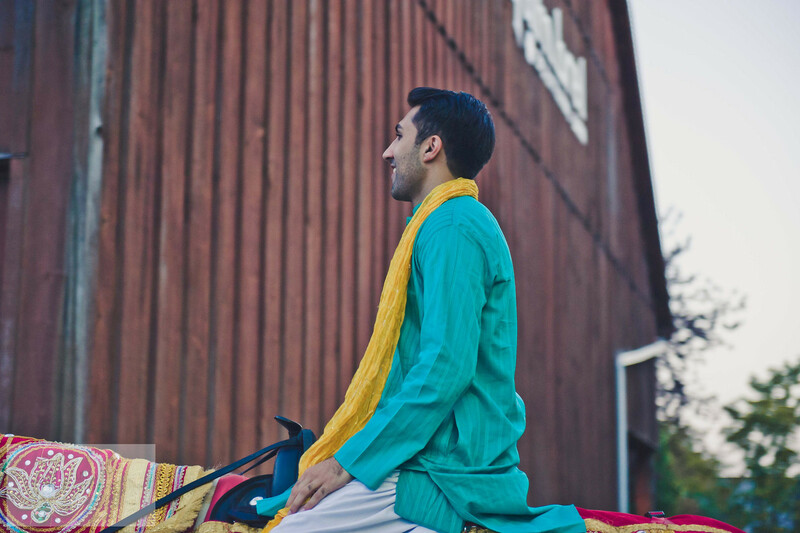 I absolutely LOVE what you did with gambrel barn – actually having my wedding there just so I can also do the fusion Indian and western theme barn wedding. Hi, who was your DJ? 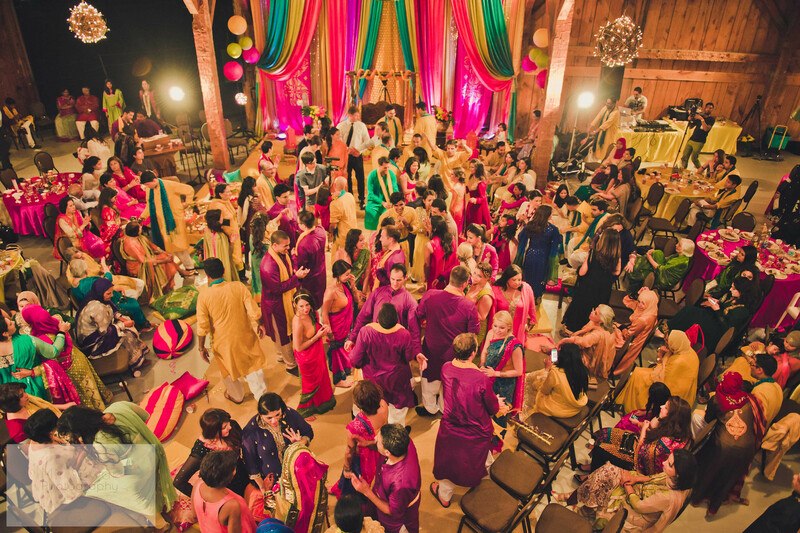 I am looking for a DJ for my wedding?